Petrol price at 4-year high: Public blames govt; Jaitley ignored warning? 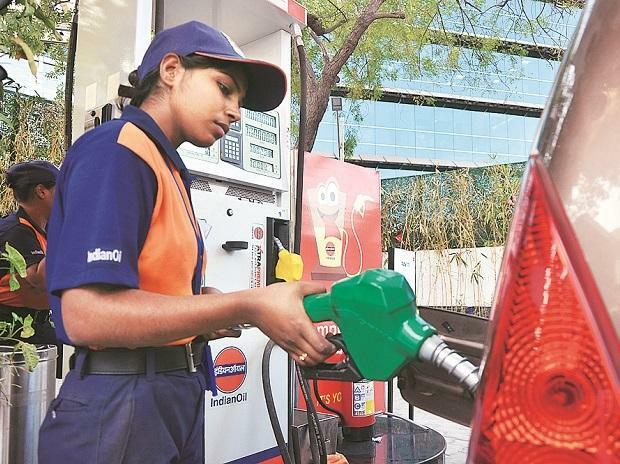 The public in parts of India has blamed and urged the central government to come up with a plan to tackle the problem of ever-rising fuel prices as petrol prices on Monday hovered over four-year peak and diesel is at an all-time high. Petrol is being sold in Delhi for Rs 73.83 per litre and Diesel was selling at a record price of Rs 64.69 a litre. Diesel price was at an all-time high in all four metro cities of Delhi, Kolkata, Mumbai and Chennai. The price of petrol in Mumbai stands at Rs 81.69 a litre and Diesel is selling at Rs 68.89 a litre. Some quarters of the public said the government must come up with a plan such as carpooling policy or decreasing the excise duty on fuel, so that they do not suffer due to hike in petrol and diesel prices in the international market. “The government earlier as well increased the price of CNG and now these. It should either come up with a carpooling policy or keep a check on the ever increasing prices of diesel and petrol,” Delhi-based Rahul Saxena told ANI on Monday. He said the price of petrol and diesel always remain high in India in comparison with other countries. “It causes discontentment among the public; the government needs to tackle it by decreasing the excise on fuel,” Saxena added. Satish Kumar, who runs a CNG and petrol car, says the government does not think once before increasing the fuel prices. He said the government was creating a problem for vehicle users by increasing the price on a daily basis and that the Centre must think over it. Vivek from Nagpur, however, said the problem was because of huge demand and lack of supply as people were largely dependent on private transportation and consuming it in large scale. He also said people need to bring down the consumption or deal with it as it keeps on increasing daily. |Readmore….